How Can the Dispersion Be Compensated in Optical Communication? In optical fiber communication, there are three factors that can degrade the optical signal during transmission. They are attenuation, dispersion and nonlinear effects. Among these problems, attenuation has been solved with the improvement of fiber manufacturing and the invention of erbium-doped fiber amplifier (EDFA). But dispersion affects the system most and is tougher to overcome compared with the other two factors. How can the dispersion be compensated in optical communication? In fiber optical transmission, dispersion is defined as the pulse spreading in optical fiber. In order to explain this phenomenon in a plain way, the most familiar example used is the rainbow, in which dispersion causes the spatial separation of a white light into components of different wavelengths (different colors). Dispersion increases along the fiber length. It is a consequence of the physical properties of the medium within which the light is propagating. Why Is Dispersion a Problem in Optical Transmission? Dispersion is regarded as a problem in fiber optic links because it limits the potential bandwidth and transmission performance of a fiber. The overall effect caused by dispersion on the performance of a fiber optical system is called Intersymbol Interference (ISI). ISI occurs when the pulse spreading causes the output pulses of a system to overlap, rendering them undetectable, which is known as a form of distortion of signal. Nowadays, in high bit rate long-haul transmission systems, dispersion becomes an even more critical aspect, because of the higher the dispersion, the lower the bit rate. We can see the effects caused by dispersion to bit rate according to the following figure. The higher the dispersion is, the longer bit interval must be used, which means fewer bits can be transmitted per unit of time, i.e. lower bit rate. Dispersion is generally divided into two categories: chromatic dispersion and modal dispersion, the former of which occurs in all types of fibers while the latter of which occurs only in multimode fibers. Chromatic dispersion (CD) is due to the fact that different wavelengths are propagated at different speeds in the fiber because the index of refraction of glass fiber is a wavelength-dependent quantity. CD can be divided into two parts: material dispersion and waveguide dispersion. Material dispersion is due to the frequency dependency of a material to waves, i.e. The refractive index of the core varies as a function of the wavelength. Waveguide dispersion is due to the physical structure of the waveguide. Waveguide dispersion has little effect in simple step-index fibers (large mode areas), but it will be significant in fibers with complex index profiles (small mode areas). 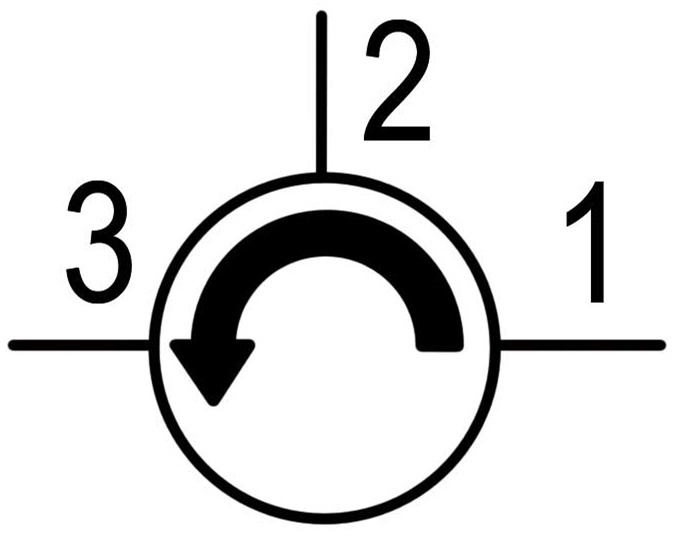 Modal dispersion occurs in multimode fiber when the pulse spreading consists of different modes, caused by the time delay between lower-order modes and higher-order modes. Modal dispersion limits the bandwidth of multimode fibers. Polarization mode dispersion (PMD) in one special form of modal dispersion. It occurs due to random imperfection and asymmetries that cause two different polarization modes, which normally travel at the same speed, to travel at different speeds. It will lead to rotation of polarization orientation along the fiber. Dispersion-shifted fiber (DSF) is used to compensate dispersion at 1550nm wavelength (zero-dispersion wavelength). It is a type of single-mode optical fiber with a core-clad index profile tailored to shift the zero-dispersion wavelength from the natural 1300 nm in silica-glass fibers to the minimum-loss window at 1550 nm. But when it is used in wavelength division multiplexing (WDM) systems, DSFs have other effects such as high four wave mixing (FWM) and cross phase mixing (CPM). Thus non-zero dispersion shifted fiber is used. Non-zero dispersion shifted fiber is designed to overcome the problems of DSF. Because of the small non-zero amount of dispersion that occurs in the 1550nm window, the FWM and CPM can be minimized so that it can be used in WDM systems. Dispersion compensation fiber is a special type of fiber that has large negative dispersion value equal to the transmitting fiber. Typically DCF dispersion can be in the range of -80 ps/(nm∙km). It can actually reverse the effects of chromatic dispersion suffered by the 1550nm signals that traverse standard single-mode fiber. 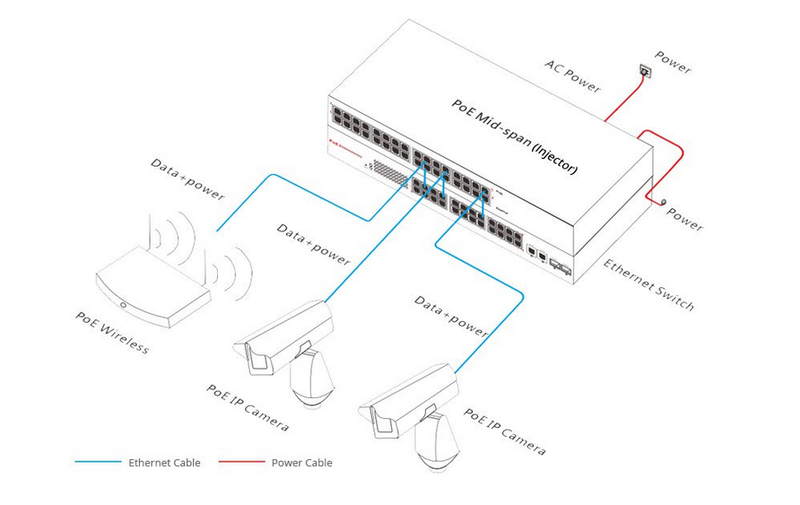 It can be used as pre-compensation, post-compensation or in-line compensation fiber. One drawback of DCF is that it has high insertion loss. And because the length of DCF is determined by the length of the transport length, it leads to bulky terminal components together with high insertion loss. In addition, since DCF is only efficient for single wavelength, it is not a preferable choice for dispersion compensation in DWDM systems. Fiber Bragg grating (FBG) is used for chromatic dispersion compensation by recompression of the dispersed optical signals. It presents low insertion loss. Dispersion compensation using FBG is based on the wavelength-specific periodic variation by the way of chirped FBG. Together with a standard optical circulator, a highly effective dispersion-compensating module (DCM) can be achieved. Two types of FBG-based dispersion compensators are available in the market: multichannel (or channelized) and continuous. The latter type provides channel-spacing-specifc compensation. The former type provides continuous compensation through out the C band and L band, which is suitable for high bit rate systems. In order to keep the bandwidth and transport performance at desired level, it is important to solve the dispersion problem in fiber optical communication systems. Thanks to the development of dispersion compensation technology, we are now able to employ different approaches to avoid the deterioration in performance of communication systems. And with the advance of dispersion management, more suitable dispersion modules will be introduced in the future. Fiber optic technology has paved the way for a new type of technology and its effects on home services. Everything from TV, phone, and even internet services have been positively altered due to the advancements brought on by fiber optic technology. With internet services in particular, this new form of connection allows for the internet to go in a direction that it has not always been able to go. Fiber Optic Internet is a step forward toward an unstoppable internet connection. Optical communication motivation began with the invention of the laser in the early 1960s. Since then, the technology has evolved at the speed of light. Optical technology has advanced so fast that it has become the information conduit of the world. The transmission of data, voice and media is distributed at the speed of light over a mesh of glass fibers that span thousands of kilometers throughout the world. Fiber optic cables have developed to various types, mutimode fiber cable and single mode fiber cable are the basical one. Multimode fiber allows multiple rays/modes to couple and propagate down the fiber at the same time. Large core fiber is attractive due to the ease in which light can be coupled into the fiber, greatly reducing transmitter design and packaging costs. Multimode fiber is sensitive to dispersion, which tends to limit an optical system’s distance and bandwidth. 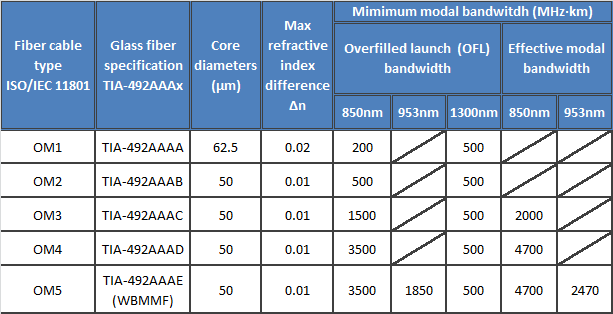 Multimode fiber can be stepped-refractive-index-profile, or graded-index-profile. While, single-mode fiber has an advantage of higher capacity/bandwidth and is also much less sensitive to the effects of dispersion than multimode fiber. It is also possible to incorporate wavelength division multiplexing techniques to further increase the transmission capacity of a single-mode fiber. Fiber Optic Internet creates a different kind of online user experience as compared to other types of connections. No longer do users worry about losing connectivity during operations because of the quality of the transmission. Fiber optic technology also allows users to eliminate waiting for pages to load, messages to send, and images to appear. An overall more comfortable surfing experience is provided by fiber optic technology. With the increased popularity of social media sites and live content sites, a fiber optic connection allows users to more completely engage and interact. This type of internet connection is more able to meet the increasing demands of today’s internet-heavy society. All fiber optic cable manufacturers diverse fiber cables but their item literatures should be cautiously studied so as to assess which variety of fiber cables they specialize in. Want to buy fiber optic cable, recommend you FiberStore, who provdes really high quality cables with reasonable price.